Jonny Jackpot Casino is an online casino you might not have heard about yet. They only launched in 2018 so they are still relatively new to the world of online casinos. However they are owned by White Hat Gaming Limited a literal powerhouse in the online world. Jonny Jackpot hold licenses in Malta and the UK. The website design is user-friendly, clean and crisp with a mint green, black and white colour scheme. The menus are easy to navigate the game tiles are large – for those of us who might have forgotten our glasses. Although Jonny Jackpot is a new-comer to the online casino world already they are getting a reputation for big promotions, bigger welcome offers and one of the fastest customer service team response times in the business. Read more to find out if Jonny Jackpot might just be your new favourite. Jonny Jackpot is well-known for their welcome offer and their promotions, considering they have one for every day of the week it’s not surprising. Yes you read that correctly, Jonny Jackpot have a different promotion running each day of the week. As well as their welcome offer and their VIP program. So lets get into the details. This offer is only valid for new customers and requires a minimum deposit of $10, the maximum match bonus on this offer is $1,000. You also receive 100 bonus spins available for use on the popular Starburst video slot game. Considering that most online casinos tap out at $750 match bonus maximum this is quite a hefty offer from a newer member of the online casino world. It’s worth noting here that all of the bonus funds throughout the daily promotions and the welcome offer are subject to 35X wagering and withdrawal requirements. Bonus funds have a 30 day ‘shelf-life’ and all bonus spins within Jonny Jackpots’ welcome offer and promotions must be used with 7 days. All promotional terms and conditions can be found here. Jonny Jackpot also have an amazing VIP Program. Unlike some other online casinos you do need to sign up to this one. Also Jonny Jackpot states that if you are a VIP at another casino, you can contact the VIP Team ([email protected]) and they’ll upgrade you to VIP should you meet their criteria. Which is very different to most other online casinos, this adds to the reasons why Jonny Jackpot are becoming more and more popular. To become a VIP you need to register, make your first deposit and fill out the VIP membership application form. The perks of joining the VIP programme are numerous. Some of the more exciting ones are the dedicated VIP support line (including afterhours), VIP only promotions – which include holidays and sporting events tickets on offer, faster withdrawals. They also host VIP events, crazy I know, but interacting with their VIP’s is important to the people at Jonny Jackpot. Events can include heli-flipping into the Grand Canyon with a fly by of the Las Vegas strip at sundown, super car experiences through the Swiss Alps, Private five star all-inclusive hotel stays in Punta Cana. They also like to help you celebrate those special dates in your calendar – birthdays, anniversaries, a specific holiday that significant to you. They might send out personalised gifts, lunch or dinner offers and even hint at personal visits. Jonny Jackpot’s live casino games isn’t the largest collection we’ve seen but it certainly does still have variety. From blackjack, roulette, baccarat and Texas hold ‘em. The dealers are professional and courtesy. You do have to be a registered member to head into the live dealer games which a lot of online casinos are now enforcing. Jonny Jackpot also has different stakes available so their customers can find a live dealer game to suit their budget, including the high-rolling VIP tables. Like almost every online casino out there these days, Jonny Jackpot has a large selection of Progressive Jackpot games available. Of course it makes sense with a name like Jonny Jackpot. They boast titles such as Mega Moolah, Mega Fortune, Vikings of Fortune and Hall of Gods. They also have some three reel classics available like Fruit Fiesta and LotsALoot. Keeping both the video slot punters and the retro three reelers smiling. Being such a newbie in the world of online casinos, it’s no wonder that Jonny Jackpot have a cracking mobile site available to their customers. Everything you find on the PC website is available on the mobile site. It has the same standout colour scheme as the website and the same easy to navigate menus and search functions. You can tell that a lot of research and care has been done to make sure that the mobile site is as fun and efficient as the PC website. There’s nothing that we could fault Jonny Jackpot on for their mobile site. It’s available on both Android and iOS operating systems and is also available on most devices both tablet and mobile phone. Jonny Jackpot use only safe and secure methods of payments both deposits and withdrawals. Methods include: Mastercard, Visa, PaySafe, Neteller, Skrill, PayPal, Bitcoin, Bank ID, Pay by Phone, Bank Wire, Interac, Trustly, Giropay and Sofort. All of the deposit methods are instant, so once you register and deposit into your Jonny Jackpot account you can be playing almost immediately. The withdrawal process takes a little longer of course. First and foremost your account with Jonny Jackpot will need to be verified, we recommend that when you open your account and deposit you also verify your account as well. This saves you precious time when it comes time to withdraw your winnings. Once the verification process is complete, the transaction times vary from 1 hour – 5 working days. Obviously if you are wanting the quickest possible withdrawal times it is going to be via an eWallet – like Skrill or Neteller. 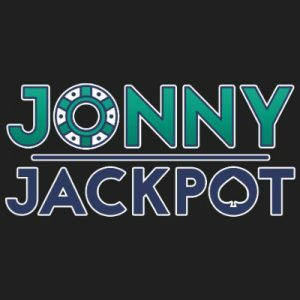 Jonny Jackpot’s support team is available 24/7. They have a fantastic live chat facility available to their customers, and the team is very knowledgeable and professional. If you prefer to email your query through the support email address is [email protected] the response time is super-fast generally under 3 hours which is an incredible response time for an online casino. Jonny Jackpot is a newcomer to the world of online casinos however don’t let this put you off. They are owned by on the largest industry powerhouses at the moment. Their website is stylish and user-friendly. They have an insane catalogue of games and like we said there is literally something for everyone. The welcome offers and the daily promotions are enough to prick up anyone’s ears and they prove time and time again that they are there for you – the customer.